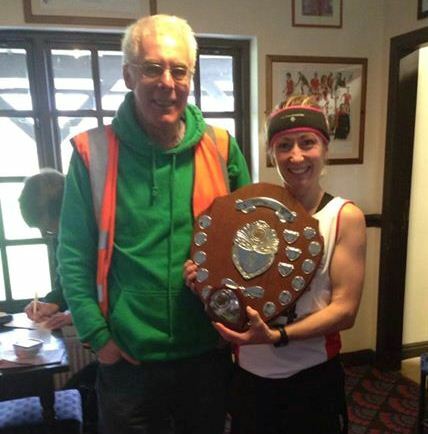 Kirsty Longley’s long run of success continues. This time the Liverpool Pembroke Sefton star was at the Guy`s 10 Mile Road Race at Garstang. This was unfamiliar racing territory and Kirsty was understandably cautious for the first couple of miles. After that she really upped her game and was astonished that some very talented athletes could not live with her. She coasted home a minute clear and with what looked like a very respectable time of 61.36. But it was even better than that, it was a new club record taking some 2 seconds off the time recorded by Courtney Birch in 2007. Kirsty has erased a raft of club records and seems to get better the more she races. Also at Garstang was the club’s recent acquisition, Samantha Wade, a post-graduate student at Edge Hill University. Samantha has already demonstrated that she too can tough it out in competition. Her time of 68.19 takes her to fourth in the club’s all-time rankings. 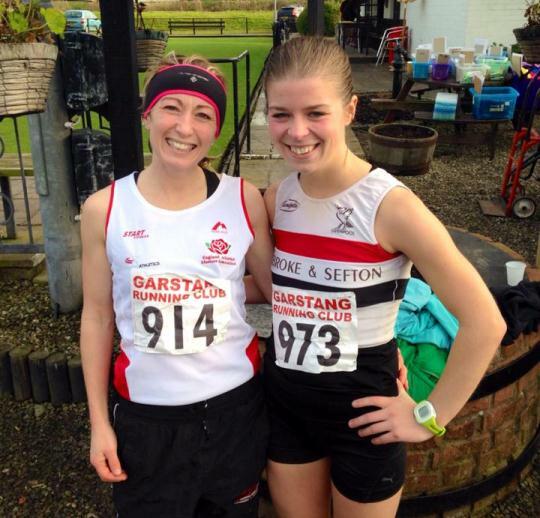 The post-Christmas cross-country championships look good for this pair. A number of LPS athletes journeyed to Sportscity for the first of the winter indoor events. Top performances came from Joe Milton(U17) who recorded 37.20 for 300m, some distance clear of his nearest rival, Jade Murphy(U15) leaping a cool 1.50m in the High Jump and Senior Danny Higham powering to a 1.20.59 600m. In the latter event Nathan Hilton recorded 1.21.53 and Sean Bosman 1.24.23. Billy Williams(U23) will certainly be pleased with a joint first 1.90m High Jump. There were tentative performances from U17 Hannah Wills in the High Jump with 1.20m and Evelyn Smalley, also U17, in the Long Jump with 4.32m. Evelyn had a satisfactory outing at 60m with 8.58. Dominic O`Hanlon(U20) ran 60m in 7.97 and leapt 5.17m in the Long Jump. All this is a precursor to the post-Christmas indoor championships where LPS athletes have a good record.